Valid Sun-Wed Only. Valid on $50 Minimum Purchase. May Purchase 2 Certificates. May Purchase 2 additional as Gifts. Nothing warms the soul like the aromas of fresh, authentic Italian cooking. 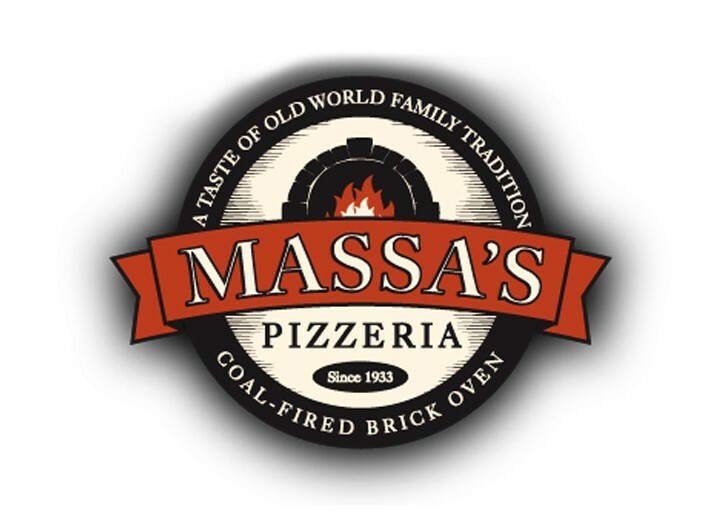 Make the flavors of rustic, traditional fare a part of your reality with a meal at Massa’s Coal Fired Brick Oven Pizzeria on Main Street in Huntington. In addition to the expertly cooked pies served up with your choice of toppings and crisped to perfection in their brick oven, you’ll find a vast assortment of other food favorites available for dining in or eating on the run. Massa’s is offering our members a delicious promotion of $15 for $30 Worth of Food and Drink (valid Sun-Wed - minimum purchase of $50). Thin crust pizza made with fresh mozzarella, perfect sauce and a hint of basil will make your taste buds sing the praises of their classic Margherita pie. Or think outside the box with nontraditional options like the white pie (with or without ricotta), topped with scallions, pancetta, Scomorza cheese, and truffle oil. We also love the caramelized onion marinara pie, a perfect blend of sweet and savory. For those with dietary restrictions, Massa’s offers whole wheat and gluten-free pies so the whole family can enjoy. If pizza’s not what you’re craving, dig into a crisp and delicious salad, mouth-watering calzone, or eggplant Parmigiana. Pasta dishes like the ziti marinara with meatballs will also have you coming back for more… tomorrow. Finish off your incredible Italian meal with a traditional dessert like the Spumoni truffle of vanilla, chocolate, strawberry, and pistachio ice cream with a cherry and almond center and dark chocolate. Or try the made-to-order cannolis, a house favorite. 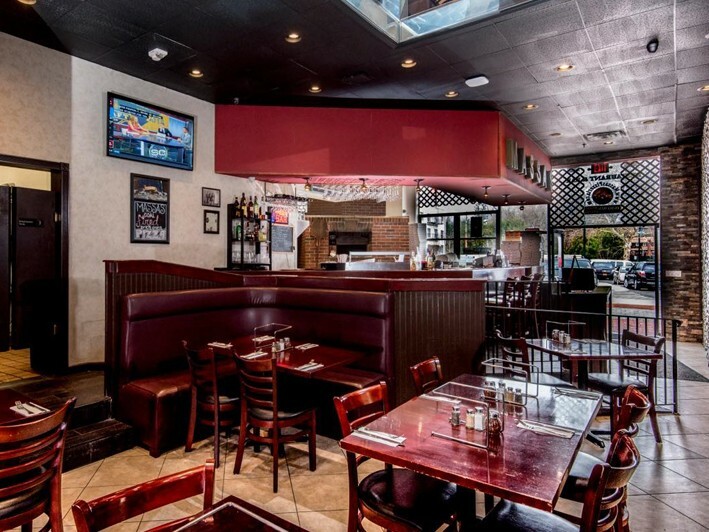 Whether you plan to savor your meal in-house and take advantage of the full bar, or pick up your food curbside, this full-service Italian eatery has everything your appetite can handle and more. 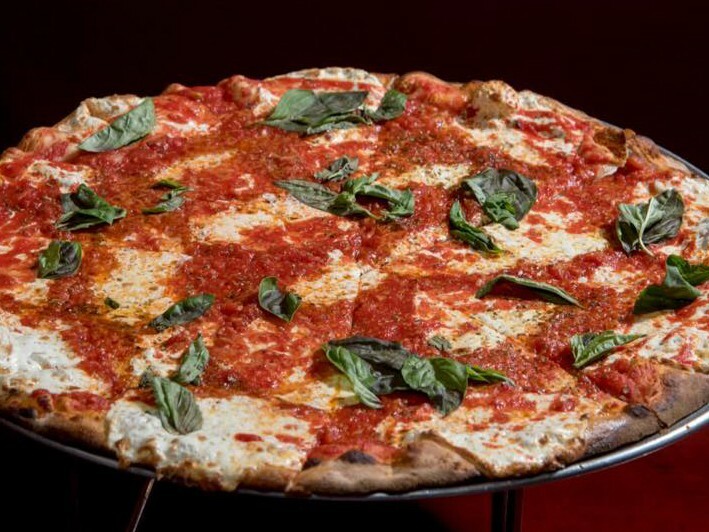 The Massa family is pizza royalty, of sorts, being related to both Patsy Grimaldi, who founded Patsy's (which became Grimaldi's) in Brooklyn and, also, to Patsy Lancieri, who founded Patsy's of East Harlem. On a visit to their restaurant, you may see the family matriarch Esther Grimaldi-Massa, whose brother now owns Juliana's Pizza in Brooklyn. Maybe she will share her meatball recipe with you, they're delicious! Our family has been in the pizza business since 1933. Let us show you what eighty+ years of experience enables you to bring to the table. Join us here, where we treat everyone like family.